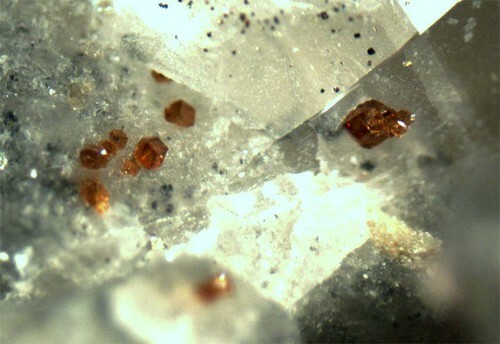 Menezesite: Mineral information, data and localities. Named in 2006 Daniel Atencio, J. M. V. Couthino, A. C. Doriguetto, Y. P. Mascarenhas, J. A. Ellena, and V. C. Ferrari in honor of the Brazilian mineralogist, mining geologist, and mineral dealer, Luiz Alberto Dias Menezes Filho [1950 Brazil - 2014 Brazil], who first found the mineral in last part of the 1970s, and who contributed widely to the mineralogy of Brazil. The first natural heteropolyniobate to be found. Both menezesite and aspedamite are the only natural heteropolyniobate known at present. Menezesite is somewhat chemically similar to hexaniobates peterandresenite and hansesmarkite. Visually similar to aspedamite and peterandresenite. Rhombododecahedra up to 1 mm, isolated or in aggregates. Calcite 3 photos of Menezesite associated with Calcite on mindat.org. Ancylite-(Ce) 3 photos of Menezesite associated with Ancylite-(Ce) on mindat.org. Tochilinite 3 photos of Menezesite associated with Tochilinite on mindat.org. Dolomite 2 photos of Menezesite associated with Dolomite on mindat.org. 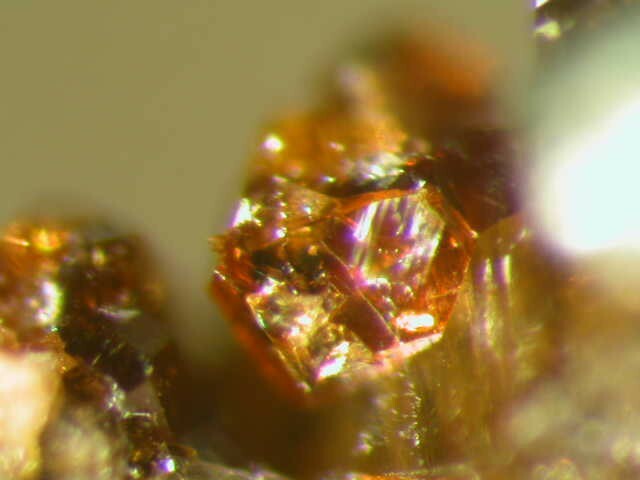 Phlogopite 1 photo of Menezesite associated with Phlogopite on mindat.org. Atencio,D., Coutinho, J.M.V., Doriguetto, A.C., Mascarenhas, Y.P., Ellena, J.A. and Viviane Ferrari (2008) Menezesite, the first natural heteropolyniobate, from Cajati, São Paulo, Brazil: Description and crystal structure. American Mineralogist: 93: 81–87. 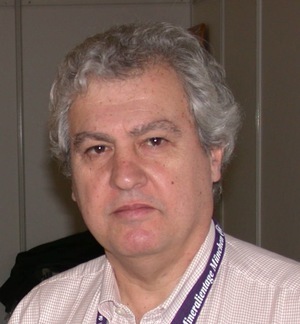 Daniel Atencio, José M.V. 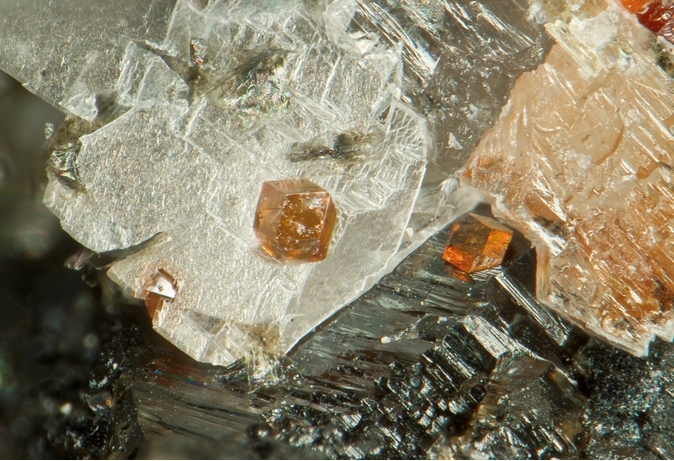 Coutinho, Antonio C. Doriguetto, Yvonne P. Mascarenhas, Javier Ellena, and Viviane Ferrari1 (2008): Menezesite, the first natural heteropolyniobate, from Cajati, São Paulo, Brazil: Description and crystal structure. American Mineralogist, 93, 81–87.